Stephen Ames is one of my favorite portraits as it conveys gravitas and a sense of keen focus. 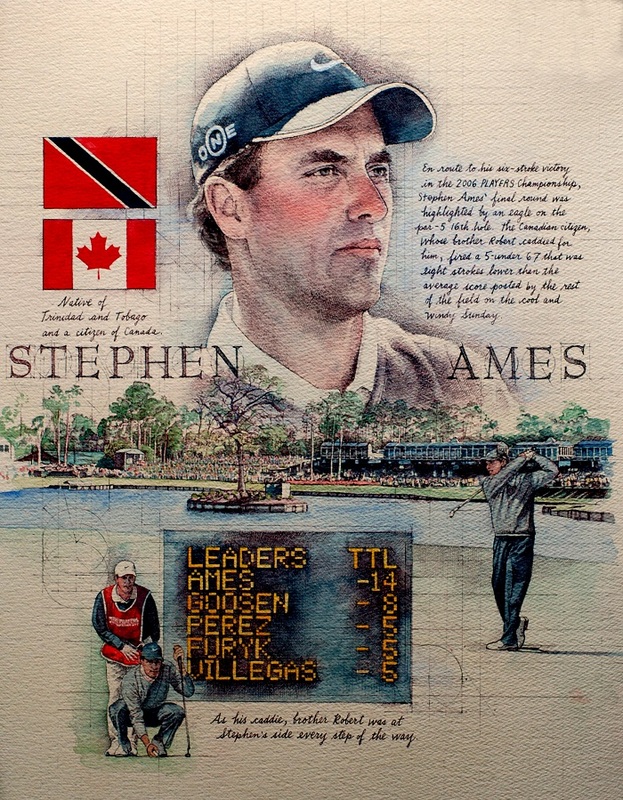 When Ames won THE PLAYERS golf tournament in 2006, his brother served as his caddie. I was very pleased to depict them together in my art. The Sawgrass Stadium in the background is magnificently beautiful, and always a treat for me to draw. Every year, I include aspects of the landscape.